AMAZON iTUNES Order Autographed copy! Click icon to listen to Grapes music on Spotify. 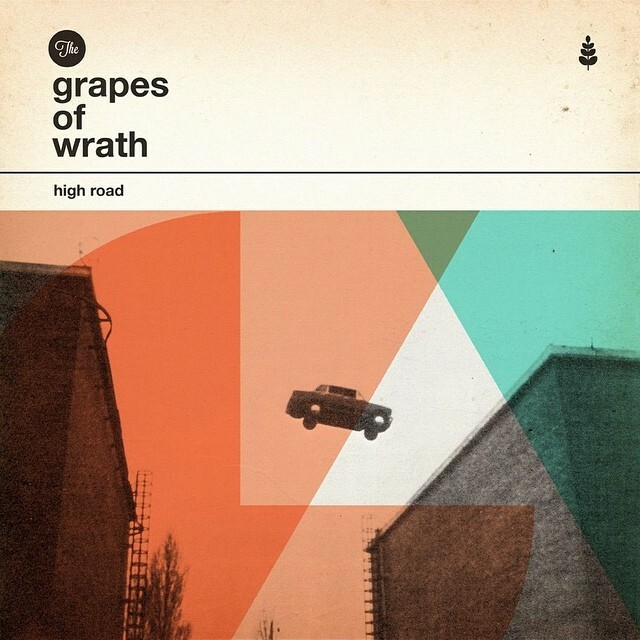 Platinum-selling Canadian folk-rock trio The Grapes Of Wrath announce the release of High Road on March 19, 2013 via Toronto-based indie label Aporia Records. High Road is the first album in 22 years to feature all three of the band's original members - Kevin Kane, Tom Hooper and Chris Hooper. In 2010, the three founding members shared the stage for the first time since their final show in 1992. We realized that the special chemistry between the three of us was still alive and well, recalls Chris. We grew up together. We have so much history. So it was really exciting to see and feel that it was still there. It's interesting how this has evolved from doing just a single reunion show to signing a new record deal, all on it's own steam, says Kevin. It's nice when things sort of come together of their own volition and don't feel forced or contrived. In the spring of 2012, the trio gathered at co-producer Darryl Neudorf's (Neko Case, Blue Rodeo) private studio to begin work on the album - the first time all three had been in a studio together since completing their final album, These Days, at London's Abbey Road in 1991. The resulting twelve tracks, written by both Kevin and Tom, feature the signature harmonies, vivid melodies and heartfelt lyrics The Grapes are known for yet also explore new sounds that will surprise the average fan. This record is a continuation of where we last left off. This isn't a nostalgia trip. It's like our other records - the next step in our growth as songwriters and musicians. The only difference is it took us a little longer to make the step, says Tom. Beautiful album! These songs have nudged me a few inches closer to the possibility that humankind actually does have a bright future. Restorative.